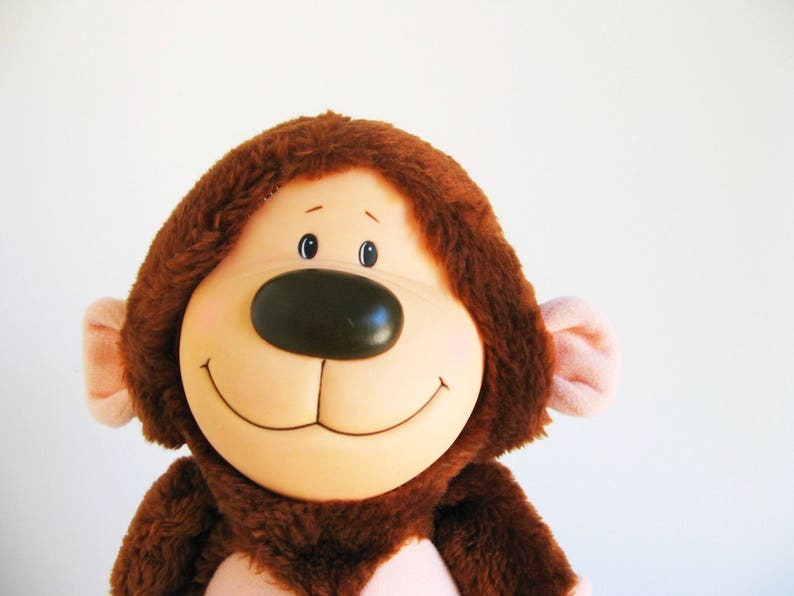 Super cute vintage Monkey stuffed animal. Sweet vinyl face with a big, wide smile. He's in very good, gently played with condition with a small scuff on his nose. Made by Emotions in 1984.